Here is a pretty dark blue Azurite in a light green matrix. 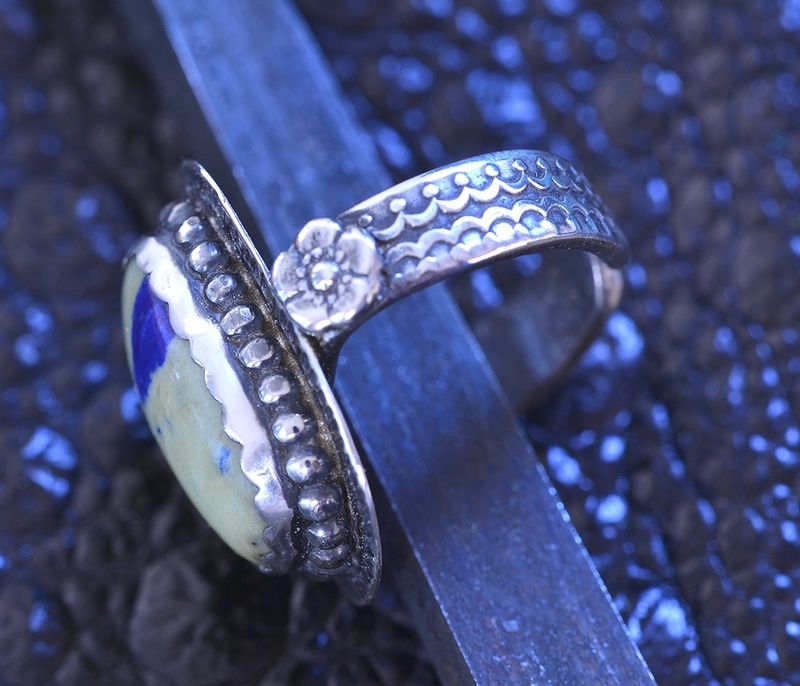 Azurite was known to our old friend Pliny the Elder who listed it as κυανός, the root of our English word 'cyan.' I should have asked Gary what the light green material is, but if you've ever been to his booth in Tucson, perhaps you will understand why I didn't. He has a big display area consisting of a square area 20' on a side, with pathways into the center with more stones. That's 80+ linear feet of tables stacked high with trays full of stones. "Feeding frenzy" pretty well describes opening day at Gary's booth! The website minerals.net notes that Azurite occurs as a secondary mineral in the oxidation zone of copper deposits, and gives a list of minerals that it often occurs with. 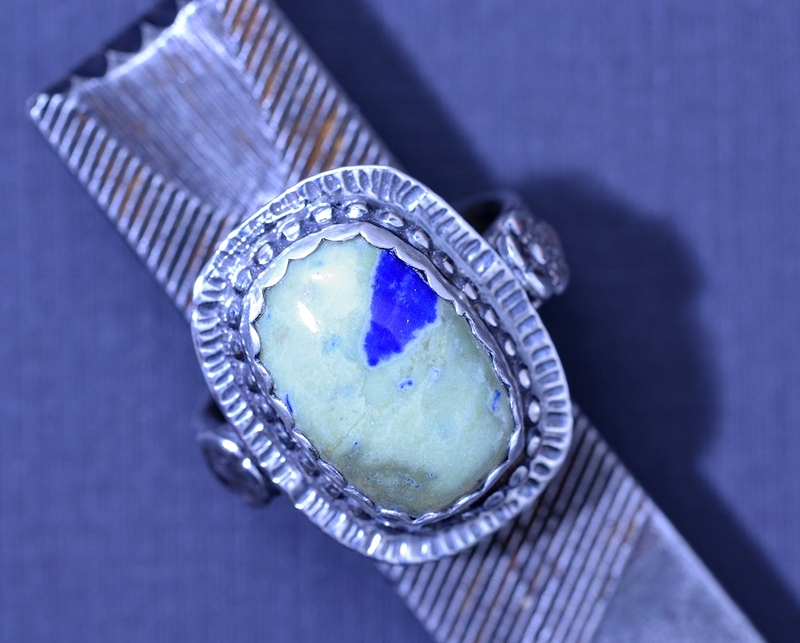 It's possible the green is Calcite, a mineral which commonly occurs with Azurite. The Wiki article on Azurite shows Australian Azurite on a pale green Siltstone, but our stone does not seem to be composed of the soft, crumbly Siltsone. I'm sure some of my faithful readers know exactly what the green is, I hope they will enlighten me. Melody calls Azurite a "stone of heaven." Ahsian calls it the stone of insight and vision. Both authors speak of its effect on the third eye. 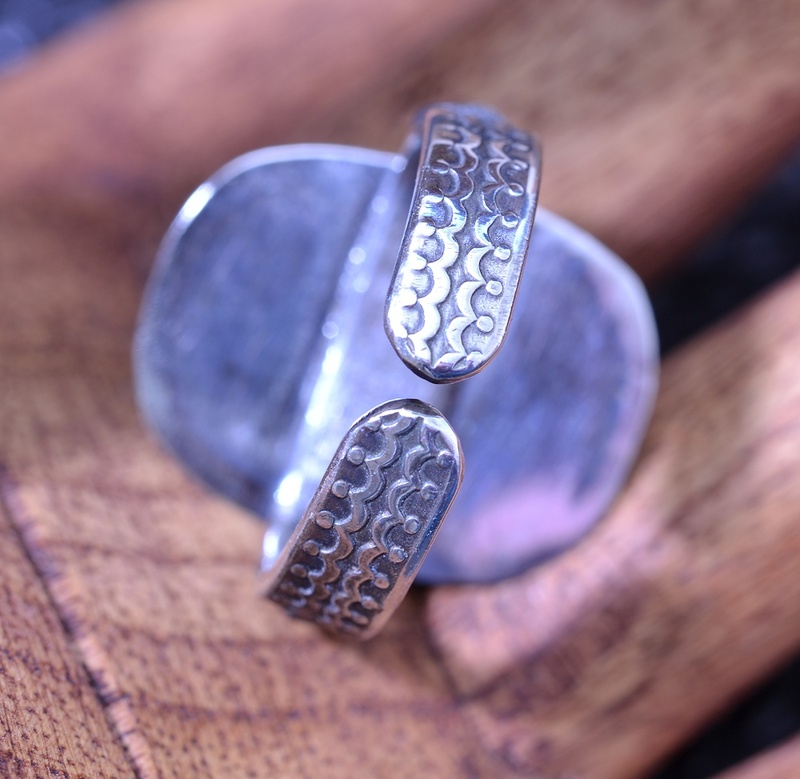 The sterling setting has a substantial flat patterned band. 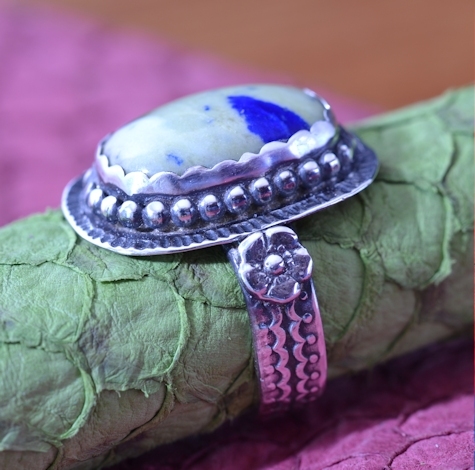 It is adjustable, and the somewhat larger size gives the option of wearing it on the index or middle finger as well as the ring finger. 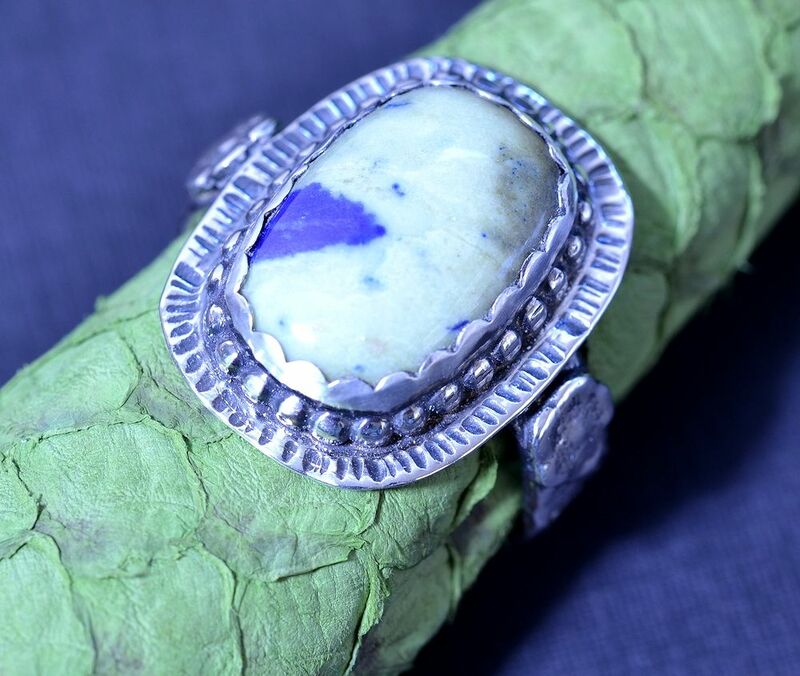 It is best to store Azurite out of bright light as it may eventually fade if stored in a brightly lit area. I hope you will order it today and enjoy its unique combination of colors and design..